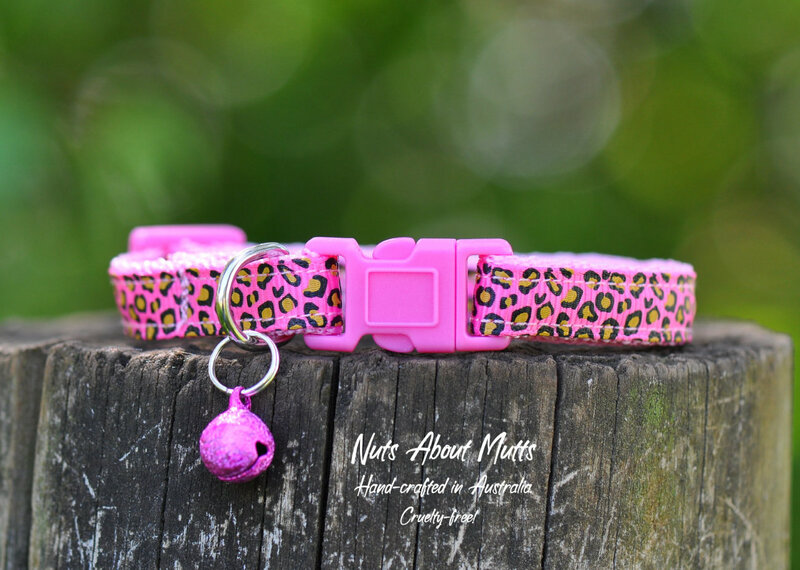 Pink Leopard cat collar FREE SHIPPING! No more boring cat collars! This collar will tell the world that you're sassy, street-wise and got attitude!! * Strong nylon webbing with printed ribbon. * Our collar range is Aussie-made and cruelty-free. SMALL 20-30cm approx, 10mm (1cm) wide. SMALL/MED 25-35cm approx, 10mm (1cm) wide. Don't see your cat's size here? Message us and we'll make one up for you! Rainbow LGBT Pride cat collar 3 sizes FREE SHIPPING!